the xray doctor: xrayoftheweek 1: abnormal or just a variant? xrayoftheweek 1: abnormal or just a variant? This is the first "xray of the week" post ever! As I mentioned before, I'll post more than just xrays but the hashtag would become too awkward! So here's the first one: this is an oblique coronal image from a CT. What do you see? Is it abnormal or just a normal variant? This is a case of crossed fused renal ectopia - essentially a normal variant in which the ascending embryonic renal tissue crosses over from one side to the other such that the kidneys are fused on one side, usually the right. The fused kidneys are more prone to stone formation and infections. It is important to report this accurately as knowledge informs future surgical interventions. 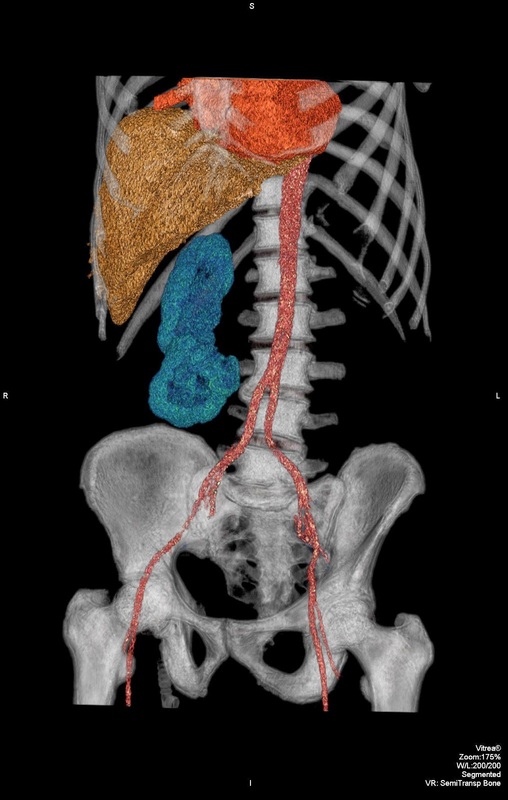 Below is a sagittal image and a colour coded 3D rendered image from the same case. There's a great Radiopaedia article on crossed fused renal ectopia if you want to read more.